For Ecocleen the sky really is the limit - in terms of ambition and leadership. With impressive growth already achieved and continuing to build, plus an ex-RAF officer in a key management role, the company is truly flying high! As a leading provider of cleaning and support services in London and the South East, City & Essex has seen a lot of changes in over 40 years of business. 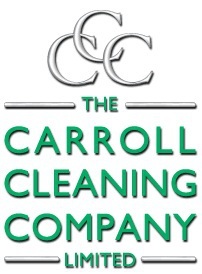 The company offers a variety of high standard cleaning services tailored to fit the needs of each of its individual corporate clients, plus a range of additional services specialising in key areas such as window cleaning, pest control, waste management, grounds maintenance and housekeeping. It’s fair to say that Cleanright has successful contract cleaning in its DNA. The company’s chairman, Vincent Lockwood, is a veteran of the sector having founded Prestige Cleaning Services in his home country of South Africa back in 1969. The company enjoyed consistent growth, culminating in its acquisition by the Bidvest Group in 1993, and it now employs over 30,000 staff. When you’re taking a break from your high street shopping, maybe having a bite to eat or something to drink, chances are that you will be doing so in an outlet that’s cleaned by Fluid Options.